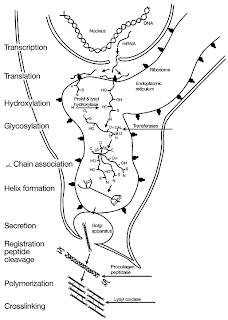 functions include the synthesis of collagen, carnitine, and neurotransmitters; the synthesis and catabolism of tyrosine; and the metabolism of microsome. During biosynthesis ascorbate acts as a reducing agent, donating electrons and preventing oxidation to keep iron and copper atoms in their reduced states. 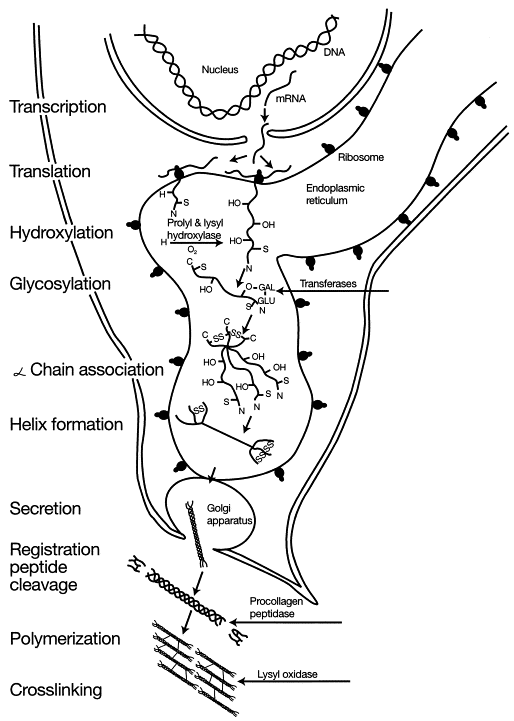 Collagen, carnitine, and tyrosine synthesis, and microsomal metabolism. to the amino acids proline or lysine in the collagen molecule via prolyl hydroxylase and lysyl hydroxylase, both requiring vitamin C as a cofactor. Hydroxylation allows the collagen molecule to assume its triple helix structure, and thus vitamin C is essential to the development and maintenance of scare tissue, blood vessels and cartilage. • Two enzymes are necessary for synthesis of carnitine. Carnitine is essential for the transport of fatty acid into mitochondria for ATP generation. 1. Dopamine beta hydroxylase participates in the biosynthesis of norepinephrine from dopamine. 2. Another enzyme adds amide groups to peptide hormone, greatly increasing their stability. 3. One modulates tyrosine metabolism. Ascorbic acid is well known for its antioxidant activity, acting as a reducing agent to reverse oxidation in liquids. Ascorbic acid behaves not only as an antioxidant but also as a pro-oxidant. Ascorbic acid has been shown to reduce transition metals, such as cupric ions (Cu2+), to cuprous (Cu1+), and ferric ions (Fe3+) to ferrous (Fe2+) during conversion from ascorbate to dehydroascorbate in vitro. Vitamin C is a natural antihistamine. It both prevents histamine release and increases the detoxification of histamine. It has been noted that low concentrations of serum vitamin C has been correlated with increased serum histamine levels. extensive hydroxylation of prolines in collagens. Deficiencies in proline hydroxylation interfere with the assembly of the procollagen triple-helix, resulting in degradation of the collagen. Early symptoms are malaise and lethargy. After 1–3 months, patients develop shortness of breath and bone pain. Myalgias may occur because of reduced carnitine production. 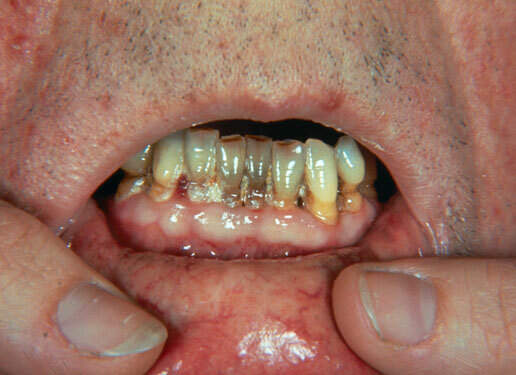 Other symptoms include skin changes with roughness, easy bruising and petechiae, gum disease, loosening of teeth, poor wound healing, and emotional changes. Dry mouth and dry eyes similar to Sjögren's syndrome may occur. In the late stages, jaundice, generalized edema, oliguria, neuropathy, fever, and convulsions, and eventual death are frequently seen. 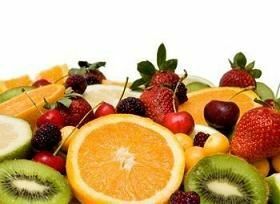 Restoration of body stores of vitamin C is essential to achieve complete resolution of symptoms. In most adult patients, provision of 250 mg of vitamin C 4 times a day for 1 week aids in achieving this goal.